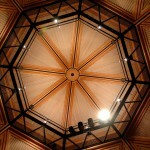 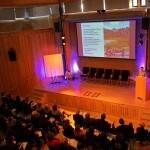 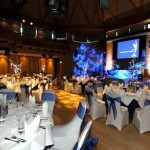 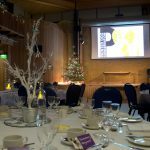 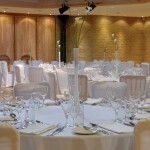 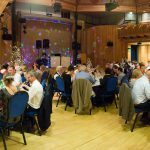 Hire an Auditorium, Theatre or Function Room in Canterbury. 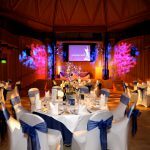 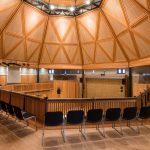 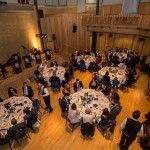 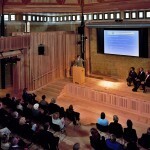 Located within our stunning Conference Centre at Canterbury Cathedral Lodge, the Clagett Auditorium enjoys award-winning design, natural acoustics and theatre lighting. 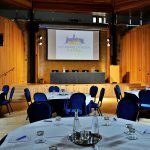 Coupled with highly flexible seating arrangements and adaptable staging, this purpose-built auditorium is ideal for a wide range of events, banquets, receptions, meetings, conferences and exhibitions. 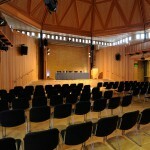 An additional balcony space allows for extra seating or two further break-out areas. 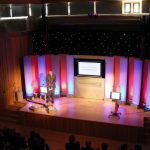 A full range of audio-visual equipment and technical support is available and our specialised conference and events team is on hand to assist with your individual requirements. 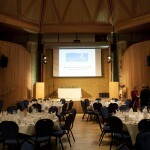 Kentish Barn: Up to 200 persons (this room can be split in to two rooms ‘The Dean John Simpson Room and The Canterbury Room).